Makes a lot a noise like a stone in an empty can; do not take time explain, and takes no time to spend to make techniques better. Knows how to properly explain. Demonstrates by being his/her best example. Inspires others by offering meaningful direction. Q: I've seen many schools which offer training in multiple styles and disciplines all in one place. Which is better, the all-in-one school or a school that specializes in one training discipline? A: To answer this, consider the following: If you are looking to have a traditional Italian dinner, do you go to an Italian restaurant specializing in traditional Italian dishes or do you go to a place that serves Italian, Chinese, Japanese, and Mexican all in one place? The answer is clear, if you want to gain true training and experience in martial arts, you should choose the school that specializes in one style or discipline. If you truly want to learn multiple disciplines, it is recommended that you learn from separate specialized schools. Q: There are many schools out there that claim to teach "traditional" and "true" martial arts, how do I choose the right one? A: As it turns out, there are many schools out there that are taught by "instructors" who become instructors by a variety of ways. Sometimes they merely purchase "licenses" from the internet, or they may make a one-time trip to another country and claim to have learned martial arts, or some will even claim that they have experience by simply saying "I trained with so-and-so". In order to find a good instructor, you must take a look at the instructor's training history. 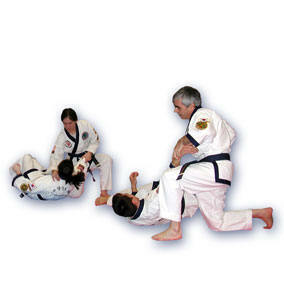 You should ask the following questions: How long did the instructor train under his/her own instructor? Did the individual earn his/her black belt from that instructor? Does the instructor come from a lineage of instructors who have also earned their degrees from their instructors? Was the instructor required to pass a strict test for instructor certification by an accredited association, federation, or union? Q: How do I know that my child will receive real martial arts training? A: Many schools are out that simply run as a business. These kinds of schools emphasize games, earning rewards, and easily obtaining the next degree resulting in ungrounded confidence and happiness, letting children think they know martial arts. However, they do not stress the importance of discipline, respect for others, and true self-confidence. Before committing to a school, be sure to take the time to sit in and watch a class to see how the children behave and practice. Take a look at the students' precision, strength, balance, and spirit. Q. What is the major difference between Tang Soo Do, Tae Kwon Do, Karate, and ...? A: Basically, most martial arts are the same. Foot and hand techniques have the same basis in the way the human body is used. The difference is in the instruction and what is emphasized in the martial art. For example, some emphasize more kicking and others may emphasize more hand techniques. While some schools are traditionally focused, others may stress competition. Q. How to choose a right martial arts school? a. Not too business – some schools frequently “up sale” extras such as classes, equipment and training programs. A martial arts school should be neat, clean, and professional. Be wary of "Black Belt Factories". Many schools solely focus on getting through belt tests without regard for precise or quality techniques. Find out how many times you or your child can practice a week. Find a schedule that works for you.